Improve Sports Performance | BioBrite, Inc. 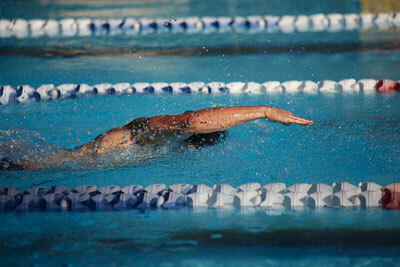 Many people train very hard for their sport, whether they are professional athletes or just out to get some exercise. Sometimes, the hardest part about training is getting up early to get to the gym, especially on cold, dark winter mornings. Often the only available workout times are very early at the pool, or the ice rink, for example. But if you get there late or not at all because you had trouble getting up, your athletic performance will obviously suffer. Athletes who want to give themselves an advantage can start their day waking up to the SunRise Clock, and get a “light boost” to awake energized and motivated to make the most out of the morning workout. Athletes who travel long distances for competition have another performance obstacle to deal with as well —Jetlag. If their internal body clock is not aligned with the actual time zone they are competing in, they are not likely to perform up to their potential. In sports where the difference between a gold medal and no medal is less than a second, understanding circadian rhythms becomes a critical factor. So athletes who focus on minimizing the effect of sleep deprivation and time-zone adjustments have a definite edge over their competitors, according to multiple recent studies at Stanford University. The answer is to use the Light Visor and the SunRise Travel Clock to avoid jet lag and be in the best position to excel.